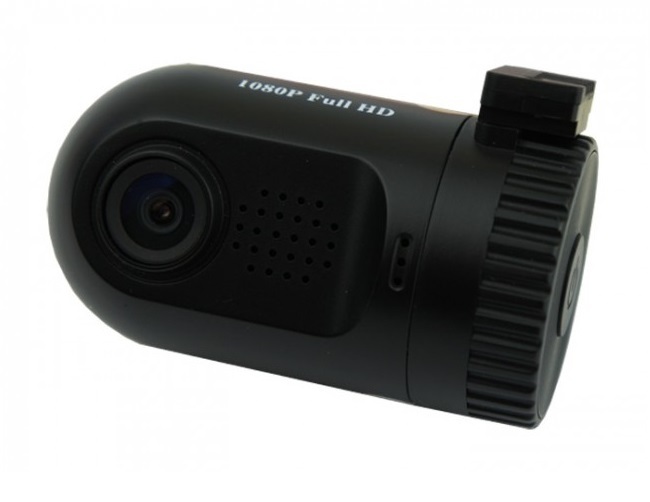 We've been road testing the Black Bullet Mini 0801 car camera for some time now. Putting it through its paces and seeing how it fairs over an extended period of time. 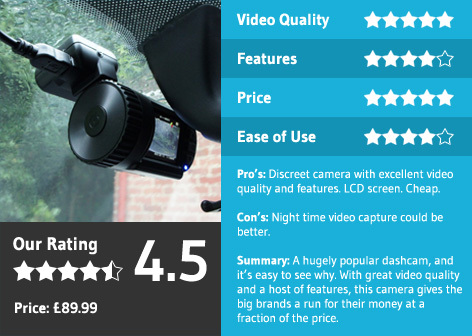 So often dash cams are reviewed after only a brief test, but we feel that to give a truly informed opinion you need to use a camera for a significant period. GPS maps for speed and location tracking (optional). Micro SD cards up to 32GB. Once installed, it's hidden completely behind the rear view mirror and remains very discrete when viewed through the windscreen, which offers peace of mind when leaving it mounted in your vehicle. The mount is another pleasant surprise; not only is it very small, but the power cable plugs directly into it, meaning that if the camera is ever removed from the car, as we choose to do sometimes, the power cable remains neatly attached to the mount, rather than dangling aimlessly. The mount houses the GPS unit (optional), which brings us to the first issue we've had while testing the Mini 0801. Sometimes the GPS unit either doesn't record our location or registers it incorrectly. However, this could be due to the heated windscreen in our test vehicle. This can sometimes impact a dash cams ability to locate a strong GPS signal. The screen, while small, enables you to manage the camera easily and view your videos and photos. While you might not be able to make out the finer details on this size screen, it's often enough to give you on indication that you captured the incident you'd hoped to. From this point it can easily be viewed on a computer using the software provided. The quality is impressive and at full HD 1080p it delivers sharp, crisp video which captures details such as registration plates well. In low light conditions it struggles slightly, but in built-up areas with adequate street lighting, it still picks up a good level of detail. The menus are easy to navigate but aren't immediately intuitive and the manual supplied gives instructions in the most basic form. But, given that this is a budget camera, supplied from the Far East, it's better than most that fall into this price bracket. With only three buttons to control the camera, it makes use of single and extended button presses to navigate various options that might not be as obvious as they could be. Having said that, we had our camera set up as we wanted in no time at all. We had to tweak the G-sensor sensitivity a few times to find the desired level but that is the case for all dash cams we've tested. Overall, it's easy to see why this camera proves to be so popular. It's compact yet fully functional, delivers full HD video and, available from just £89.99, makes a great entry-level car camera. It's not without its faults, and is lacking slightly in terms a build quality, but these issues can easily be overlooked for the cost.